THE WORLD'S MOST POWERFUL SUBWOOFER. 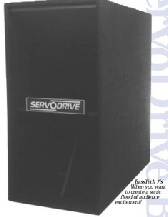 All ServoDrive loudspeakers incorporate a unique, patented operating principle involving the substitution of high-speed rotary servo-motor and belt-drive system for the traditional loudspeaker voice coil/magnet transducer system. 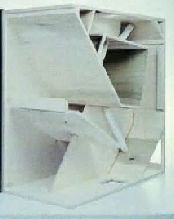 The concept was created by renowned engineer, Thomas Danley. In the years since their introduction, ServoDrive subwoofers have heightened the awareness of the tremendous effect massive low frequencies have in both fixed installations and touring sound applications. ServoDrive's BassTech 7s provide more sound pressure level capability than any other subwoofer on the market. Features include: exceptionally low harmonic distortion, true high-fidelity performance, virtually no output loss due to power compression, frequency response virtually flat to below 28Hz, extraordinarily efficient - low power requirement for full SPL output. 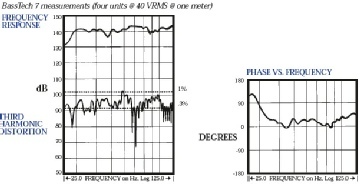 The BassTech 7s display smooth frequency response (essentially flat from crossover frequency down to 28Hz). Revolutionary motor-driven belt design increases linear excursion and efficiency, handles large low-frequency peaks without damage or sonic compromise. 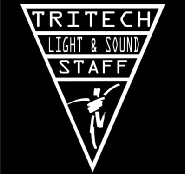 The BassTech 7s have been on tour with the Rolling Stones, Michael Jackson, U2, Garth Brooks, Phish, and Lyle Lovett. From Super Bowl half-time shows, to Disney World, Universal Studios, the Mirage Volcano, Buccaneer Bay at Treasure Island, Crystal Cathedral, and Blumenthal Theater - wherever crowds gather, these subwoofers are guaranteed to bring a new level of excitement!